You are here: Home / Search for "vue"
An investigation is underway after a body was found in the Village of Bellevue Saturday afternoon. According to the Brown County Sheriff’s Department, the body was found near a field on the south side of Hoffman Road around 2 p.m. The body has not been identified and the State Crime Lab was called in to collect evidence from the scene. During a press conference Saturday night, Captain David Poteat said investigators are working the case as if it’s a homicide. “Generally any death that isn’t obviously explained as a homicide, in this case there is some evidence that would lead us to believe that this is probably the case here,” said Poteat. The Wisconsin Department of Justice along with the Division of Criminal Investigation and the Green Bay Police Department are also involved in the investigation. A Minnesota man convicted in the death of a Weston woman in an argument over drugs will be spending a long time in prison. Richi Vue was sentenced today to 28 years in prison and 7 years of extended supervision for the reckless homicide of Lee Xiong in October of 2012. Vue is 23-years-old. Defense attorney Deja Vishney argued that Vue was caught up in reckless behavior because of his environment and that Vue and Xiong were in an abusive relationship. Prosecutor Teresa Wetzsteon argued today that Vue was a career criminal already and that the victim in the case was Lee Xiong. Vue will not be eligible for early release, and will have to pay restitution in this case and other previous cases on his record. A man convicted in the murder of a Brown County woman has been sentenced to life in prison. Jurors found George Burch guilty of first-degree intentional homicide in the death of 31-year-old Nicole VanderHeyden. The body of the mother of three children was found in a field in Bellevue in May of 2016. On Friday, Judge John Zakowski said if the death penalty was allowed in Wisconsin, he believes Burch would merit it. Instead, Burch received an automatic life sentence, and Kakowski decided Burch shouldn’t ever be eligible for parole. The Brown County Sheriff’s Office is investigate a vandalism and theft spree at a Bellevue car dealership. Ten vehicles were put up on blocks, the tires and rims stolen, at Dorsch Ford on Eaton Road. 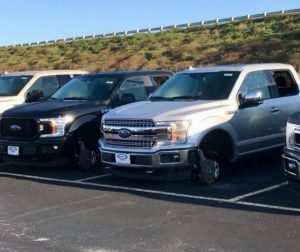 A Ford van was also stolen from the lot, which investigators say may have been used to help transport the stolen tires and rims from the lot. Total value of the damages and stolen items is over $100,000. The incidents are believed to have occurred between midnight and 3:30 a.m. on Monday morning. Dorsch is offering a $2,500 reward for any information leading to the arrest and conviction of those responsible for the crime. Prosecutors say DNA and cell phone records helped them connect a former Virginia man to a Brown County murder. The Brown County district attorney’s office filed a charge of first-degree intentional homicide today against 38-year-old George Burch. Burch was arrested last week for the murder of 31-year-old Nicole Vanderheyden. 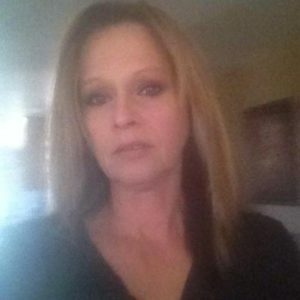 The Ledgeview woman’s body was found in May in a field near Bellevue. Prosecutors say DNA found on Vanderheyden’s clothing, body, and the cord used to strangle her matched a sample in a national database that belongs to Burch. Cell phone records also placed Burch at the place where Vanderheyden was seen alive, and where her body was found, the night of the murder. 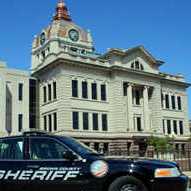 Burch is held in the Brown County jail on a $2 million bond. Brown County investigators are revealing more details in the ongoing investigation into the murder of Nicole VanderHeyden. At a press conference Friday, members of the Brown County Sheriff’s Department spoke about how investigators turned attention toward 38-year-old George Stephen Burch. Burch was arrested Wednesday morning. The 31-year-old VanderHeyden was found near a field in Bellevue back on May 21. Investigators believe that she was beaten and strangled. Poteat, along with Chief Deputy Todd Delain, remained tight-lipped about the connection between Burch, VanderHeyden and former suspect Douglass Detrie. Detrie, who was VanderHyeden’s live-in boyfriend, was arrested just days after her body was discovered. That’s after investigators located blood near the couple’s Ledgeview home and learning they had an argument in a bar shortly before her death. Then on June 10, Detrie was freed from jail after prosecutors said they weren’t confident they had enough evidence to tie him to the murder. “At the time we arrested Douglas Detrie, we had probable cause to believe that he committed the crime. Evidence we collected at the time of his arrest and forensic evidence we received a couple weeks later helped exclude him as a suspect,” said Poteat. Investigators would not comment about why Burch recently moved from Virginia to Brown County, an area where he has few connections. “We believe Burch moved to the area around a short time prior to the homicide,” Poteat said. adding that Burch became a person of interest approximately two weeks ago. Neither Poteat nor Delain would comment on why Burch returned to Virginia days after VanderHeyden’s death, before returning to Brown County. As for clearing the name of Detrie, who has kept a low profile following his release from jail nearly three months ago, they would only say that he’s no longer a suspect. Burch is being held on $2 million bond and returns to court on September 16. At that time, a criminal complaint is expected to be released. 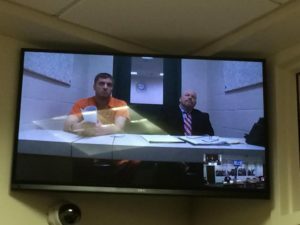 Brown County District Attorney David Lasee petitioned to have the probable cause statement sealed at Burch’s first court appearance Thursday. The Brown County Sheriff’s Department says is investigating a homicide in Bellevue. Chief Deputy Todd Delain says deputies responded to an early morning 911 call for a shooting on Manitowoc Road. The victim is the home owner, 52-year-old Suzette Langlois. Based on the preliminary investigation, they don’t believe it was a random act and say the public is not in danger. At this time, a suspect is not in custody. The area around the residence is closed off to traffic as investigators process the inside and outside crime scene. Deputies are asking for help from anyone who spoke with Langlois recently or know anything about the incident. A man arrested for the death of his live-in girlfriend in Brown County has been released from jail. Douglass Detrie was freed from jail on Friday. This comes after prosecutors say they’re not confident they have enough evidence to tie him to the beating death of Nicole VanderHeyden. VanderHeyden’s body was found May 21 in a field near Bellevue. Two days later, Detrie was arrested in connection with her death. The Brown County Sheriff’s Department last Friday held a news conference asking the public for more help cementing their timeline of events leading up to VanderHeyden’s death. Douglass Detrie, 34, appears in Brown County Circuit Court PHOTO: WTAQ /Midwest Communications Inc.
A man accused of killing his live-in girlfriend in Brown County had his bond set at $1 million cash. Thirty-four-year-old Douglass Detrie was arrested Monday night, just two days after 31-year-old Nicole VanderHeyden’s body was found in a Bellevue field off of Hoffman Road. Investigators spent Monday searching the couple’s Ledgeview home for evidence. Their home is about 3 miles from where VanderHeyden was found. In court Wednesday, prosecutors say VanderHeyden had been strangled and beaten. They also say a shoe print found on the her body, matches a shoe found in Detrie’s home. Defense lawyers argued that there wasn’t enough evidence to hold Detrie. 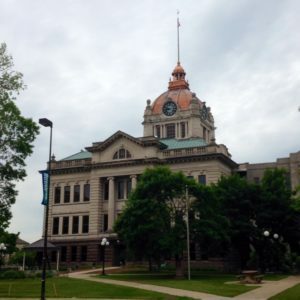 Detrie returns to court for his initial appearance on June 2. A Brown County man has been arrested in connection with a body found in Bellevue over the weekend. Captain David Konrath of the Brown County Sheriff’s Department said the body found in a field on Hoffman Road on Saturday is that of 31-year-old Nicole Vanderheyden of Ledgeview. On Monday, investigators searched the area of a home on Berkley Road in Ledgeview. Vanderheyden shared the home with her boyfriend, 34-year-old Douglass Detrie, who was arrested at his parent’s home Monday. Investigators are recommending charges of first degree intentional homicide. Konrath said Vanderheyden’s injuries were substantial but would not reveal cause of death. The Green Bay Area Public School District confirmed Tuesday that Vanderheyden was a substitute teacher at the elementary and middle school level.